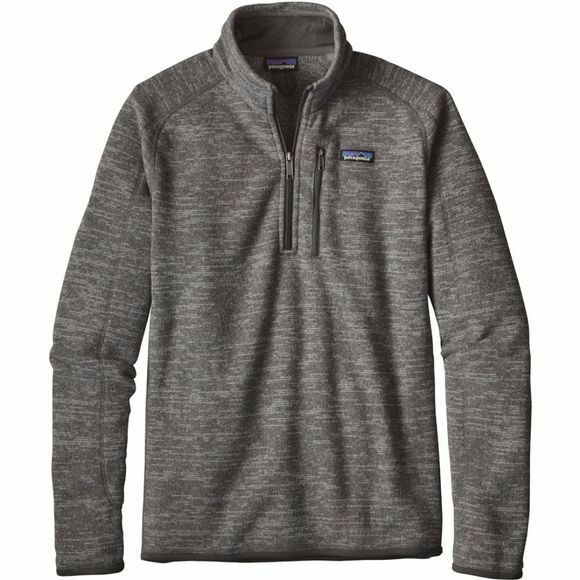 The Mens Better Sweater 1/4 Zip from Patagonia is ideal under a shell or as a soft, fleecy interior that can be layered or worn next to the skin. To help reduce impact for the environment, it is made with a low-impact process to reduce the use of dyestuffs, energy and water compared to conventional dyeing methods. The soft micropolyester jersey fabric trims the wind flap, cuffs and hem for extra comfort.